I really liked this compact lure wallet found tucked away on the Daiwa stand. Right up my street. Double sided. On one side, under a Velcro flap, are three pockets that look to be perfect size to hold more than enough soft-plastic packets for a session. Unzipping the other side reveals a foam pad for holding jigheads, hardbaits and metals. Plus there's an internal mesh pocket for accessories and leader, etc. Comes with a handy belt clip. 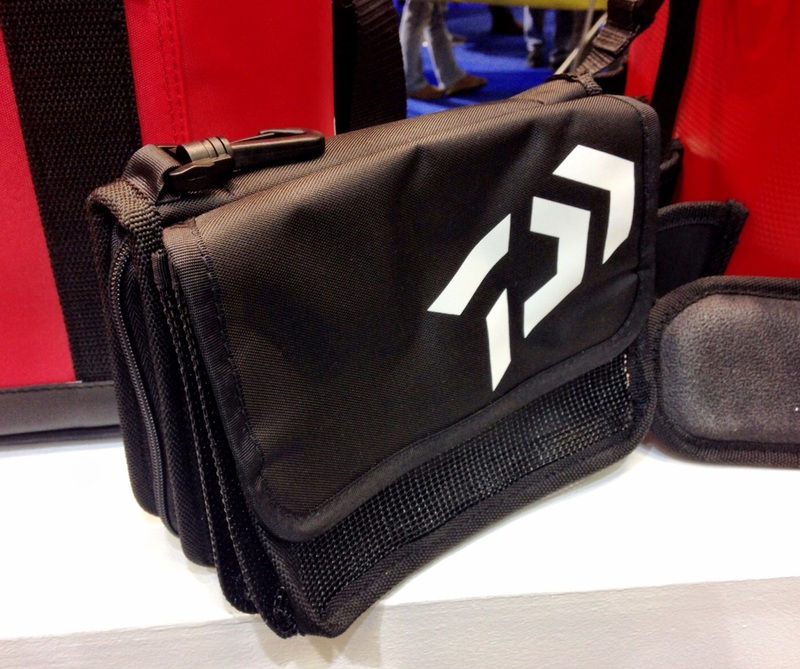 Hi Adam , do you know of any tackle dealers in the uk going to stock the Daiwa bags? I don’t mate, no. Veals have been known to bring in stuff from Daiwa France, but doubtful. Probably limited to the reliable European retailers like Pecheur.